Kat McIver has been a ceramics artist for two and a half decades and professor of transpersonal psychology, creativity and innovation, and expressive arts for nearly as long. Her work has always been steeped in spirituality, feminism and mythology, and is represented by pieces that range from whimsical to far more serious. "I experience my art as a radical response and prayer to life. Each piece develops as a deep, evolutionary process, expressing my personal spiritual journey and the emotional vicissitudes of beingness." Recently, Kat realized that a series she had been working on, The SpiritKeepers, were evolving into their own brand or line. More than just works of art, The SpiritKeepers are designed to serve as reliquaries, vessels for the ashes of loved ones, or as vessels for our most sincere hopes, dreams or intentions. As such, they needed unique marketing and a sales platform other than gallery space. In the website design, Underexposed Studios decided to let the work speak for itself as much as possible. Kat's pieces are incredible. We opted for a clean, welcoming, image-driven site built on a subtle sales platform. It became clear very early in the design phase that The SpiritKeepers seemed to beg for story, for context, and for sentiment. These are works of art designed for incredibly personal life events, and so we built in room for dialog. 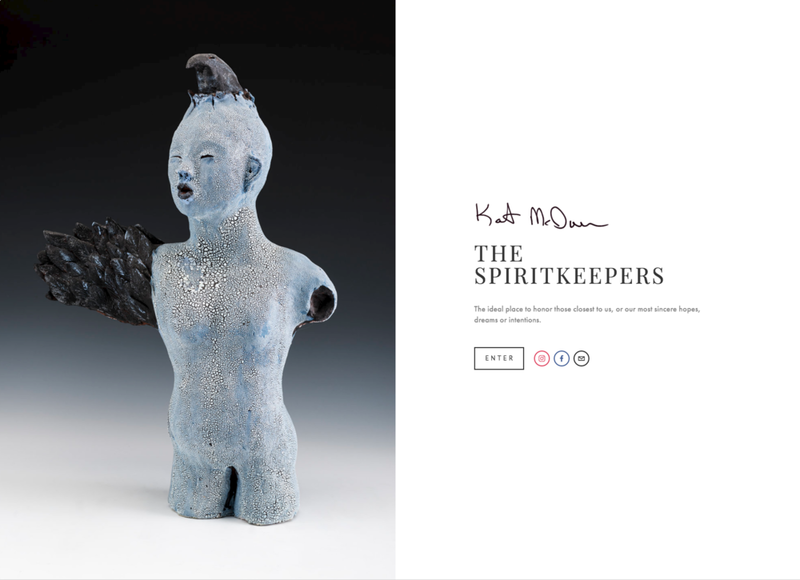 Kat's thoughts about inspiration and design are mirrored throughout the site by the voices of those who own SpiritKeepers.